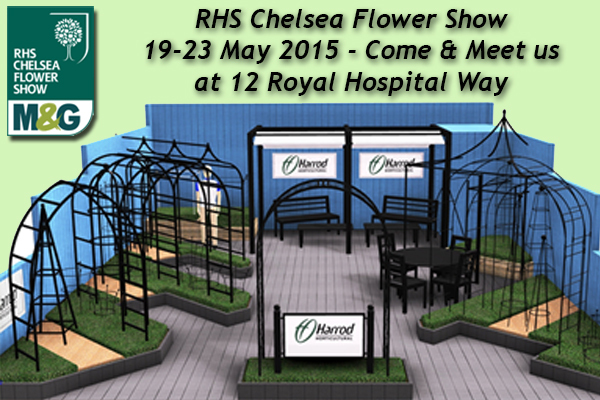 Believe it or not, the RHS Chelsea Flower Show is nearly upon us again and the Harrod Horticultural team are busy preparing for another show-stopping exhibit. With a string of previous Chelsea trade stand awards and twice winners of the Chelsea Product of the Year, the pressure is really on to raise the bar yet again and we are determined to do this as you can see with this sneaky peak of our 2015 exhibit. 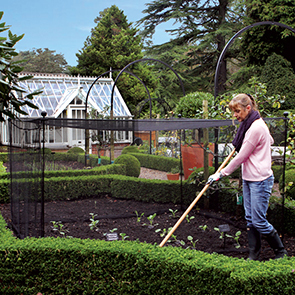 It's laden with inspirational and elegant structures that are ALL UK designed and manufactured by Harrod Horticultural, plus endorsed by the RHS too. 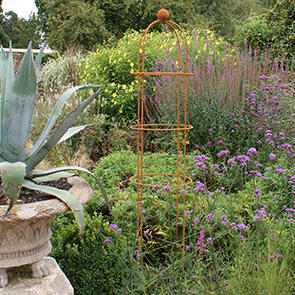 The collection showcases our finest quality garden arches, pergolas, obelisks & plant supports, with a number of stunning shapes that are now offered in a range of colours or finishes to bring alternative accents to any garden. 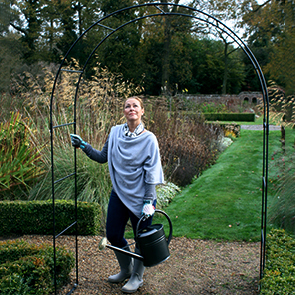 And to add to the excitement, we are launching a BRAND NEW FURNITURE RANGE - come along and take a look at our Artisan Steel Garden Furniture. 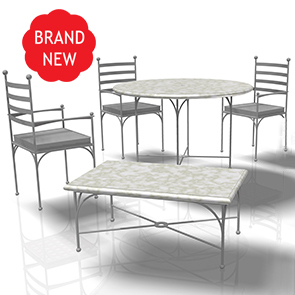 With an amazing LIFETIME STRUCTURAL WARRANTY on the chairs, and a 10 YEAR GUARANTEE on the choice of tables, these stunning pieces are truly unique products that will look good in your garden for a very long time and you certainly won't find them anywhere else!